One of my FAVORITE things about being a stay-at-home mama is that I get to go on all the field trips with my boys. The four-year-olds go on field trips ALL the time. We had our first one today and we have THREE in the month of October - and they're FUN. 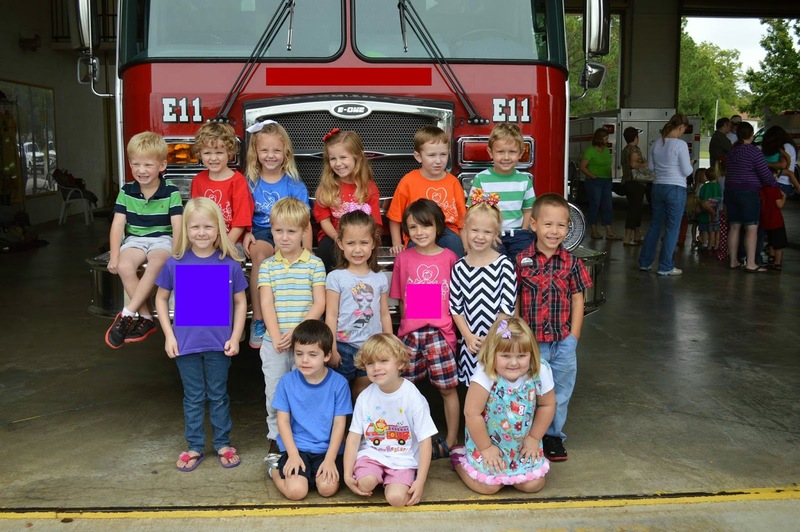 Today James' class and the other four-year-old class headed to the fire station. They watched a video about how to get out of a fire (if you were a child of the late 80s/early 90s you, too, might have seen that video...they're still playing the Little Richard video from way back when...) and then they put on their fire gear and let the kids climb into the truck. James had a GREAT time. Looking forward to many more fun field trips this year! Eating UP this time with him.